In January 1965, 25-year-old David Lett arrived in Oregon with 3,000 grape cuttings and a theory that he could successfully grow grapes in Oregon's cool climate. 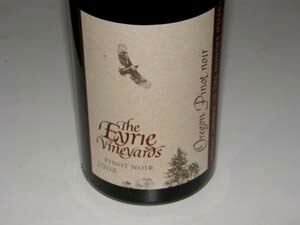 He planted the Pinot Noir vines in the Willamette Valley that year in a nursery he established in Corvallis while he began a search for the perfect place and climate to grow Pinot Noir. At the time, he was selling textbooks and was driving from one college to the next and while driving around, he would dig soil samples and test them. 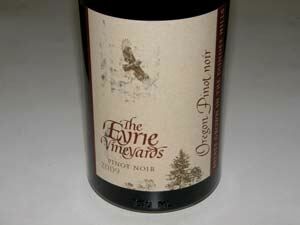 In 1965, he found an abandoned prune orchard in the Dundee Hills, and the fooling year started transplanting the Corvallis-based cuttings to establish The Eyrie Vineyards along with the assistance of his wife Diana. 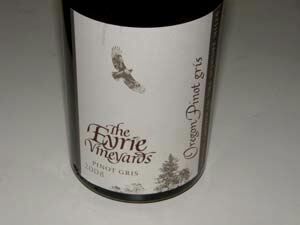 David is credited with the first plantings of Pinot Noir, Chardonnay, and Pinot Gris in the Willamette Valley. 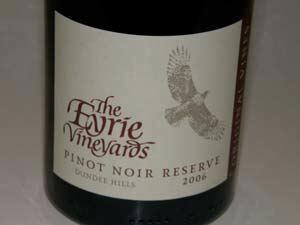 The Eyrie Vineyards, founded by David and Diana Lett in 1966, is located in the Dundee Hills. 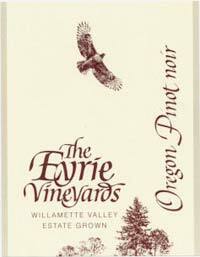 David Lett established Oregon's reputation for producing fine wine both domestically and internationally and became affectionately known as "Papa Pinot." Jason Lett took over from his father, who passed away in October, 2008, and became the winemaker with the 2005 vintage. A graduate of University of New Mexico in botany, he had intended to pursue a research path, but ended up back in Oregon at his father's side. He had winemaking stints in France, Germany, Switzerland and New Zealand. The quality of the wines has not missed a beat. Jason also handles the vineyard management for the estate. 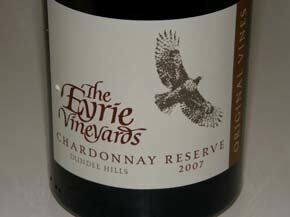 The wines emphasize balance, harmony, restraint, elegance, and age ability. 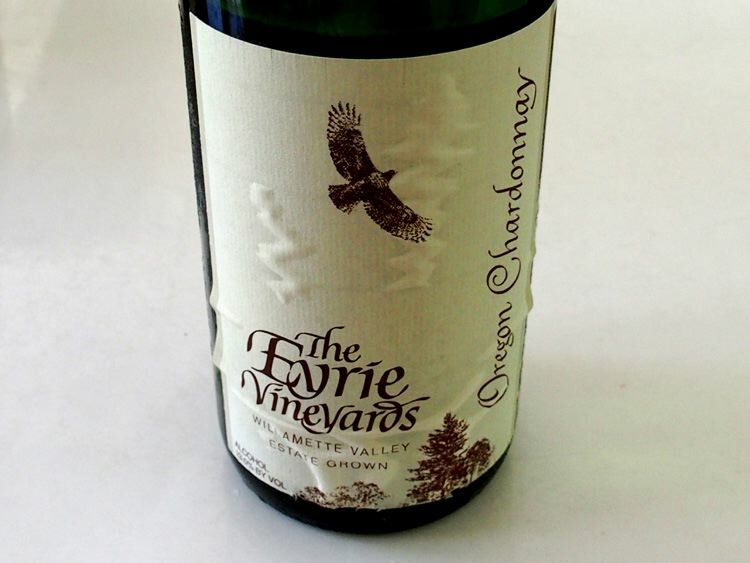 Traditionally, the Eyrie wines were reticent upon release, but winemaking changes instituted by Jason has made the wines more approachable early. 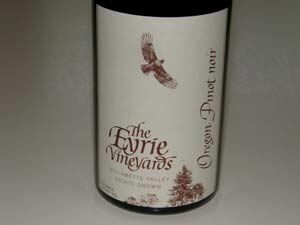 These changes include longer fermentations and indigenous yeasts which he introduced at Eyrie. 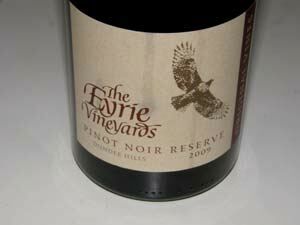 Production, which includes an Estate and Estate Reserve (Original Vines) Pinot Noir, is close to 10,000 cases. 55 acres of vineyards are owned and 95% of the wines are estate grown. 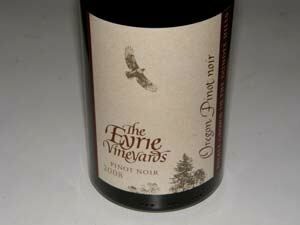 The wines have decent retail distribution and are sold at the tasting room in McMinnville. A Cellar Certification program is ongoing to inspect every bottle of the approximately 6,000 cases of wine that David Lett held back beginning in 1970. Prices range from $75 to $450.